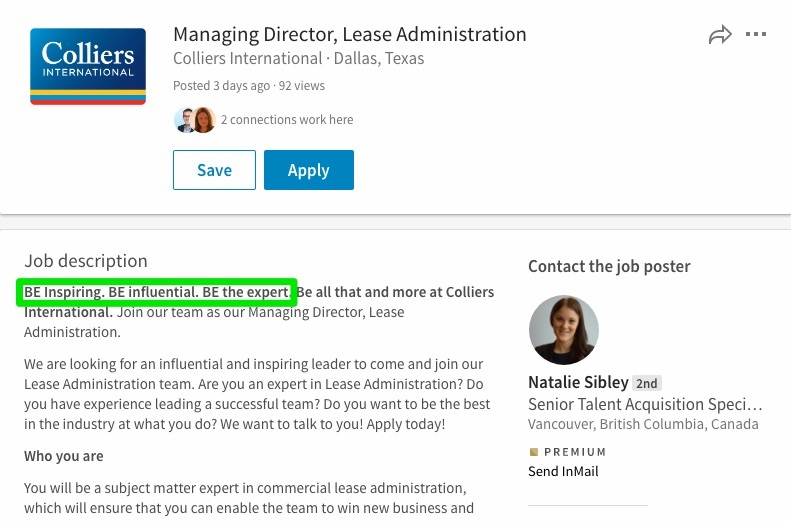 Real estate powerhouse Colliers International has a new “Power of Be” employee value proposition in its job descriptions. 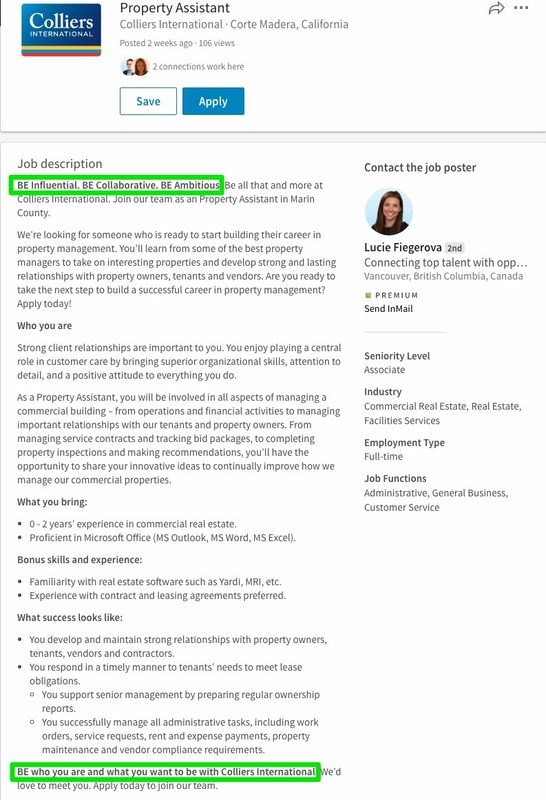 It’s great to see such employee value proposition examples on the job posting level and not just the career home page. 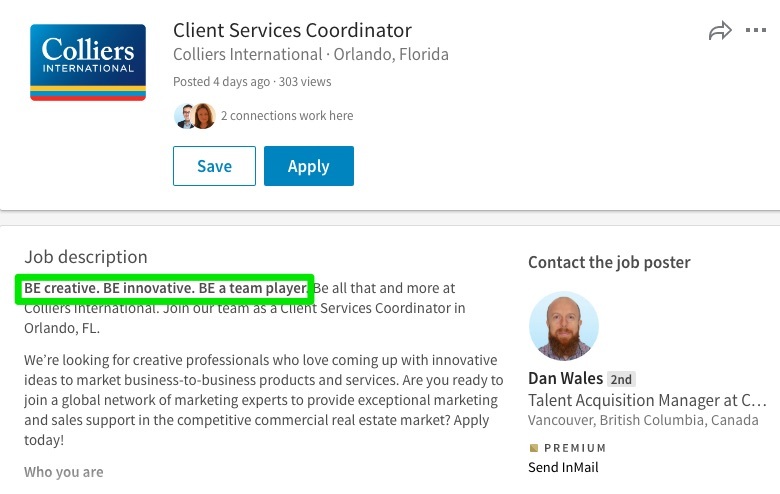 The job ad is often the first impression a candidate has of working with you (i.e. they come in through Indeed, LinkedIn, Glassdoor, Google, etc.). Ongig enables you to do absolutely anything with job content coming out of your ATS. You can add employee value propositions, video, pictures, chat, ratings and reviews, employee testimonials and much, much more!